The Enei district of Minami Soma town lies within the 20 km exclusion zone around the Fukushima Daiichi Nuclear Power Plant. In early April 2011, immediately after the devastating tsunami and nuclear meltdown forced people to evacuate the area, filmmaker Yoju Matsubayashi rushed here with relief goods. 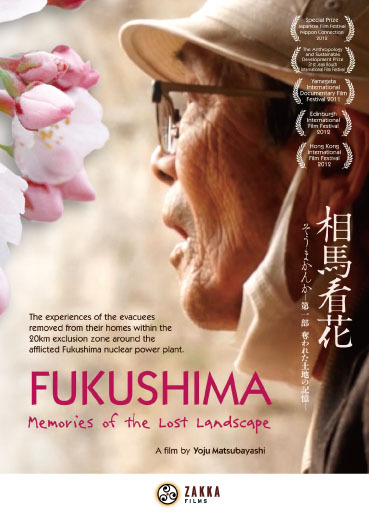 From a chance meeting with city councilor Kyoko Tanaka, he began making this film. Living together with the evacuees in school classrooms designated as temporary refuge centers, he captured an extraordinary period in the lives of the local people. Interspersed with humorous episodes and deep emotions, the film delves into memories of a local culture that has been taken away by the tragedy.